My Manifesto – Why I do what I do! About a week and a half ago I posted on Facebook that a transformation was about to take place. I offered no other explanation other than each day since then I have been posting on Facebook what my workout routine is for each day. I’ve gotten a lot of questions about what’s going on, what am I training for. This post will hopefully answer those and other questions. Since about November of last year, I have experienced a decline in my health. Nothing major….but just enough irritations after irritations to finally take it’s toll. If you know me, I don’t do well with irritations. I like being 100% at all times. It started after I came back from a trip from California with the trifecta of upper respiratory diseases: bronchitis, sinus infection, and pneumonia. Just as I was recovering, my annual mammogram found a lump in my right breast. It turned out to be nothing…but this is the second time a “lump” caused all sorts of stress and consternation and turned out to be nothing. Once that was settled I ended up throwing out my back, not once, not twice, but three different times. Each time worse than the last. Finally I dislocated my right shoulder, but it popped back into place pinching nerves and taking weeks to heal. On top of this our company’s annual “health check up” showed me with a 41″ waste, labeled me as “obese”, a fasting glucose of 182mg and my bad cholesterol “borderline high”. All of this and I’m on the downside of 49 pushing 50. I finally got to a place where I was sick and tired and of being sick and tired. I racked my brain over what I could do. I HATE running and walking the concrete jungle didn’t have any allure for me. So I started thinking. In another lifetime I used to hike. I loved hiking. I would go to Colorado every year to go hiking and bouldering. Somewhere along the way life happened and I left that love. The time felt right to find that love again. I discovered some great trails right here in my city. I started expanding to state parks as folks started following this blog and telling me about new trails. The act of moving and discovery started bringing life back into my tired old body. I started hiking on June 7th. By July 7th I had put in 58 miles. By August 7th the total miles was 146. I stand at over 160 miles at the time of this writing. 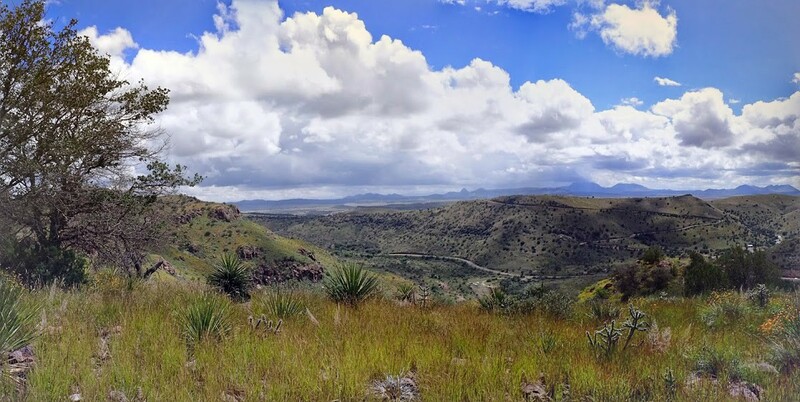 In my twitter feed the Texas Parks & Wildlife announced a “Women’s Only Backpacking Outing in the Ft. Davis Mountains”. I talked it over with Laura, and with her blessing I signed up. It’s time to get back on the trail. This also gave me something to shoot for beyond just hiking. I have a firm date at the end of September and I need to be in shape for that weekend. So I stepped up my game. Monday: Stairs (20 minutes): Effectively I’m running the stairs in my parking garage at work. Tuesday: Running: Remember…I hate running…so this is more run/walk. But I try to do 1.5 to 2.0 miles. I’m currently in my second week. Now…if you are still with me….let’s move on to the next phase of my rambling. That’s Long’s Peak in Colorado. At one time, I had a dream to hike this mountain. I never made it. I got as far as the parking lot of the trail head in the middle of the day thinking “One day I want to climb this”. Well damn it…that’s changing. 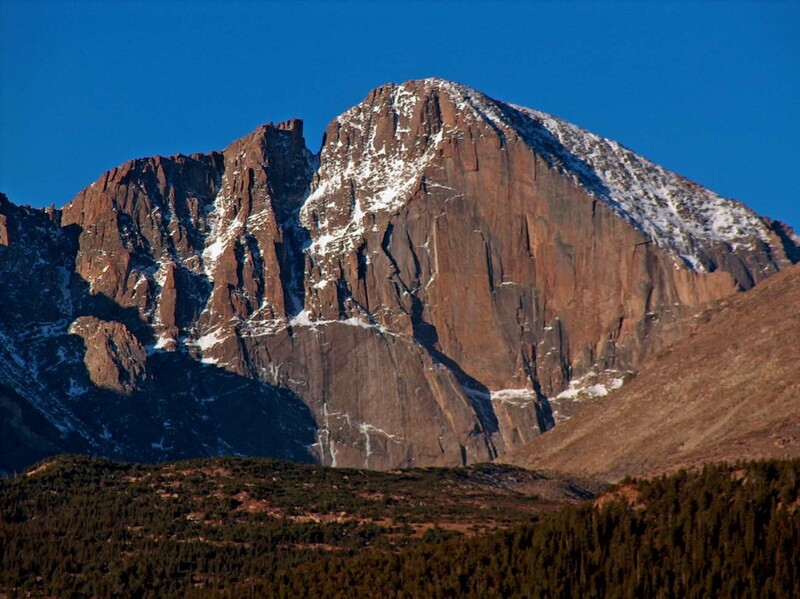 My goal for my 50th year, is to make it back to Colorado and climb this mountain. Everything I’m doing now is preparing my body for the long hike and climb up this mountain. I will do it. I have to. So what am I training for? I’m training for myself…to help my body to feel better, to clear my head, get away from the city, and rediscover my first love…nature and all that she has to throw at me. Have I lost weight? I’m not sure…the scale keeps bouncing around. But I know my clothes are fitting better. I can tell by the way my center of gravity has shifted that my body is starting to change. I didn’t get to be 200lbs overnight, and I’m certainly not going to lose the weight overnight. But as long as I keep putting small goals out there I will get there. I plan on having blood work done in the next week or so. We’ll do a comparison then of where I was in March to where I am now. It’ll be interesting to see if there’s a change and how much of a change. So my question to you….what are you doing? What’s been nagging at you and you’ve had a hard time finding the motivation to do it? What excuses do you keep putting up? Why? What can I do to help you? We’re all in this journey together….and there are days I don’t want to go run or hike in 100 degree weather….but I do it. Because the only thing standing between me and my goal….is me. Fear is a manifestation of ourselves. It’s not real and it doesn’t exist except in our mind. I will boldly go where I am meant to go. ← 143+ Miles and counting..